Bring on the Gingerbread! » Use Exciting in a sentence. ← Give Me Resolve, Dammit! Awwwwww yeah!! 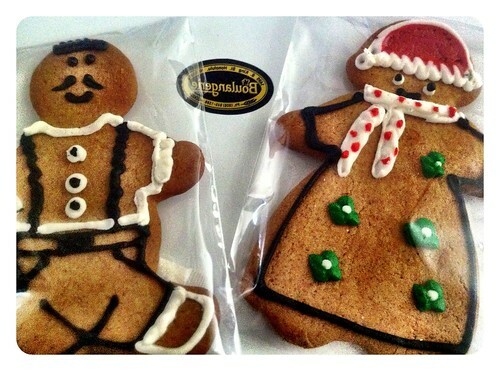 It’s that time of year… It’s time for the gingerbread to return to bakeries and stores across the USA. In Hawaii, the main places I’ve gone to get gingerbread, are Liliha Bakery, Saint Germain Bakery, Boulangerie Bakery, and I bought the Krusteaz Gingerbread mix at a grocery store, which allows you to choose between baking cookies or a cake. (Both were excellent)! I am a huge fan of gingerbread. The smell of it, the flavor… the golden brown goodness of it. Some people decorate them with brightly colored frosting and other candy garnishes, which typically include a happy smile on their little gingerbread faces. Ah! Like the McRib, gingerbread is elusive due to it being a seasonal good. But unlike the McRib, which seems to be randomly released, gingerbread comes with all the happiness that Christmas brings. I always look forward to the holiday season, and my thoughts always drift towards gingerbread. This year, I am dieting like I’ve never dieted before…. which makes me feel gingerbread intake will be at an all-time low for me this season. 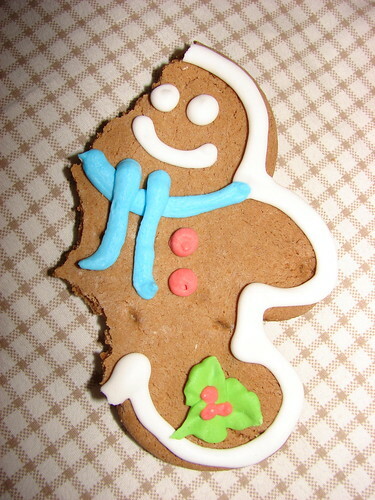 But I’ll be sure to post some gingerbread pics as they come. If you have any suggestions for me on good Gingerbread mixes, or places to pick some up on Oahu, or online, please leave me a comment! This entry was posted in food, ramblings, tribute and tagged boulangerie bakery hawaii, dieting, ginger bread, gingerbread, krusteaz gingerbread, liliha bakery, saint germain bakery hawaii. Bookmark the permalink. One Response to Bring on the Gingerbread!